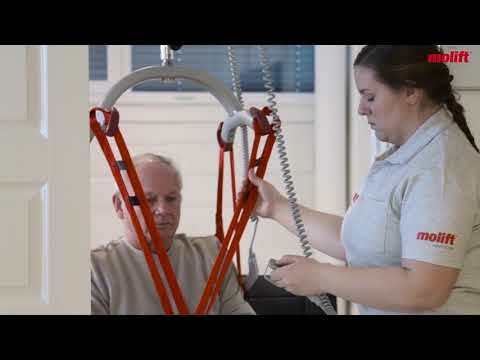 Molift Air is an innovative, functional and well-designed hoisting aid for disabled users. 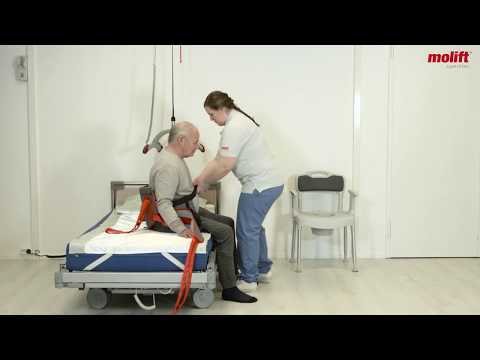 Combined with the Molift Rail System (MRS), Molift Air solves all hoisting situations in health care and other patient handling environments. 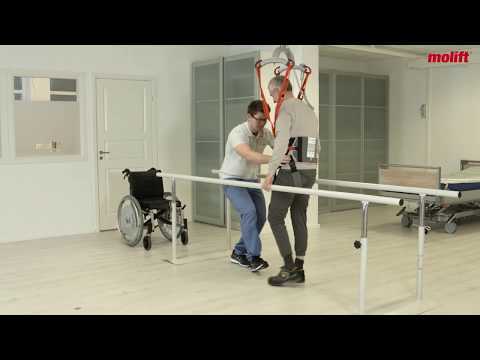 Molift Air is suitable for sitting and horizontal transfers as well as standing and gait training situations together with the comprehensive accessory program from Molift. It is used with fixed ceiling rails, but can also be used for portable freestanding systems. 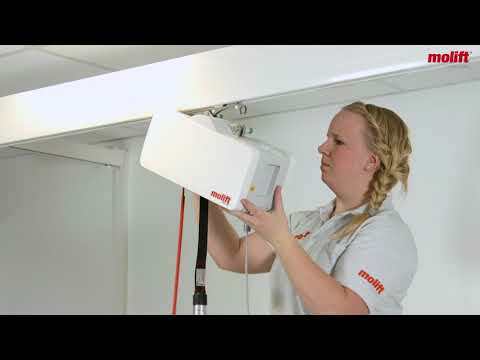 Molift Air is easy to handle during installation and servicing, due to a very low weight and the clever quick release function. Molift Air offers flexible solutions such as remote control and possibilities for room-to-room transfer, due to a very low weight and the clever quick release function system. Add to this the safety features, the large hoisting interval and the multiple range of sling bars. It is the complete solution in all health care segments. Service and maintenance are easy due to the innovative quick release function. Wall mounted charger or In-Rail-Charging (IRC). The lift can be used with both a 2-point and a 4-point sling bar. They are avalibale in two variants and can be interchanged easily without tools. Molift Stretcher is a user-friendly and flexible scoop stretcher for hospitals and institutions. Approved and compatible with X-Ray, CT-scan and MRI and works directly with Molift 4-point suspension. A soft fabric stretcher for horizontal and lateral hoisting. Used in combination with Molift 8-point suspension. The lightweight sling bar has a quick release coupling, which makes it very easy for the caregiver to change. 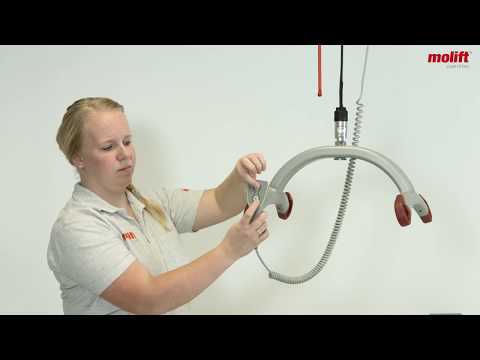 The Molift Air scale is approved Class III and complies with all technical standards. It can also calculate BMI (Body Mass Index) with a simple touch. Driven horizontal transfer along rail.